We love our pets. And pet ownership is on the rise. Sixty-eight percent of U.S. households, or about 85 million families, own a pet, according to the 2017-2018 National Pet Owners Survey conducted by the American Pet Products Association (APPA). This is up from 56 percent of U.S. households in 1988, the first year the survey was conducted.When you are selling your home, almost all real estate agents tell you to Deodorize, Deep clean your home, Repair any pet damage, Remove pet objects…some people may advise you to eliminate any evidence of pets living in the home. Well, that may make sense. Not all buyers love pets, or they may not love your pets the way they love theirs. One home seller took this advice very seriously and successfully removed all the evidence of his pet living his home. 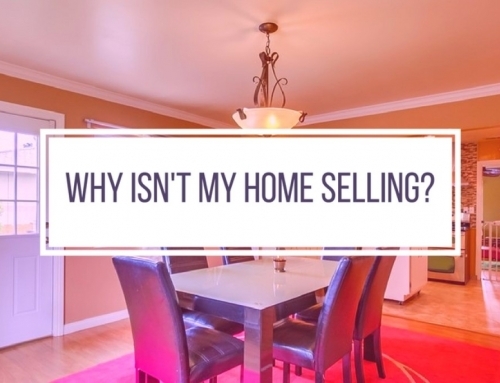 The seller was able to sell his house, move into a new home and then he got sued by the buyers of his previous home…What went wrong? This is a story we heard, we were not involved in the transactions nor did we witness the situation. Long story short, after moving into their new home, the buyer noticed something that smelled like cat pee. They did everything from replacing carpets and pad, to sealing the subfloor with a special coating. Nothing worked. Now the buyer ended up with a home they could not live in. Since the seller had not disclosed they had pets (a cat) the buyer had grounds for a lawsuit. We would never suggest to anyone that you should not disclose when asked if a pet is living or did live in a home. Problems caused by failure to disclose can take a heavy toll, both in financial and emotional terms, whether it is settled in or out of court. It may even be beneficial to share some thoughtful details that show buyers your home and neighborhood are pet-friendly. Recent reports show that Home buyers and sellers with dogs often place a high priority on their pets’ happiness. Millennials, in particular, are often motivated by their dog’s needs when house hunting, according to a recent survey of that generation of home buyers conducted by the Harris Poll on behalf SunTrust Mortgage. It’s very common now to see agents market a condo as pet-friendly. As long as you keep your home as clean as possible, you can actually entice buyers if a condo is a pet-friendly. Ask us if you should stage your home as a pet-friendly or if it is better to remove the evidence of having a pet. We love to share our marketing expertise!